In this article we will show how to make a basic UAVCAN node and explore it in the UAVCAN GUI Tool using the Zubax Babel hardware. From the software point of view, we will keep things as simple as possible. 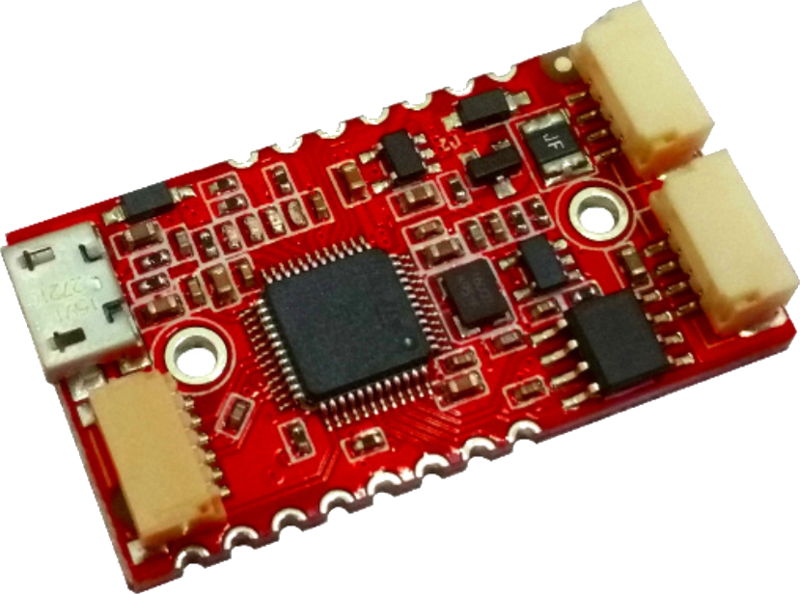 We will use only the libcanard library, which is a very lightweight UAVCAN implementation, and the stm32 standard peripheral library for the stm32f37x family of microcontrollers. Usage of different HALs and any type of RTOS is avoided on purpose, as this is a very basic example. 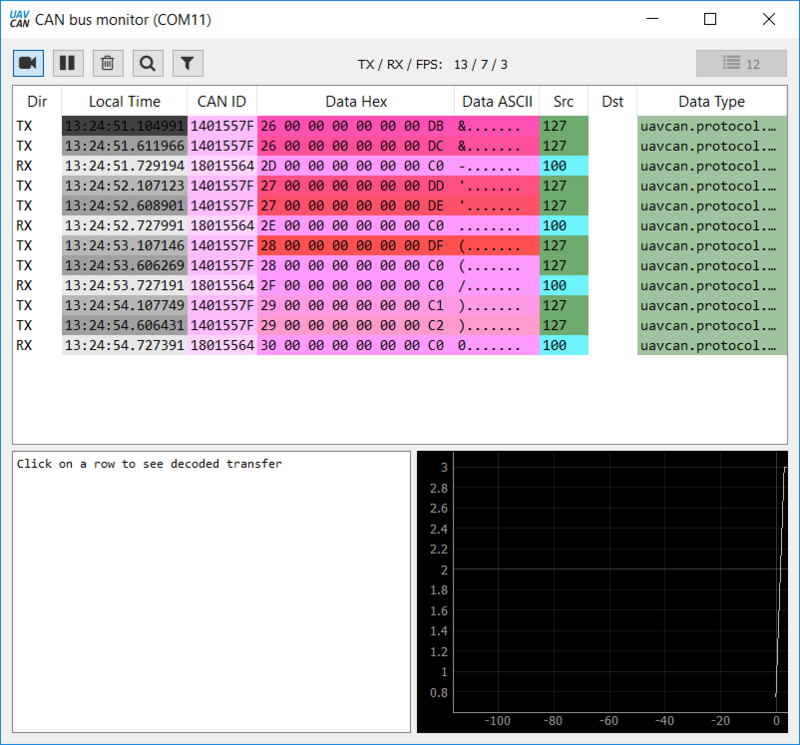 So our goal is to make Babel act as a UAVCAN node, then check if it can be seen in the UAVCAN GUI Tool, explore the raw CAN data using the Bus monitor, and basically get acquainted with UAVCAN in general and libcanard in particular. A couple of words about UAVCAN. A UAVCAN bus is obviously a CAN bus where at least two nodes should present. In our case one node is a Zubax Babel and the other node is a UAVCAN GUI Tool. We will need the second Zubax Babel or any other SLCAN/LAWICEL compatible converter to connect the UAVCAN GUI Tool to our CAN bus. Important note. CAN bus in general needs termination resistors connected on both sides of the line. If the line is very short (10-20 cm), only one resistor may be sufficient. Сonveniently, Zubax Babel has a software-programmable termination resistor. If the CAN bus seems to be not working for some reason, please check if the termination resistor is activated (it can be activated using the UAVCAN GUI Tool itself). The general hardware initialization must be performed in the first order, as the STM32 driver shipped with libcanard configures the CAN peripheral only and does not configure clocking and gpio. The hwInit() function is trivial and is left out of this text. Lets begin with initialization of libcanard. canardSTM32Init and canardSTM32ComputeCANTimings are stm32-specific driver functions shipped with libcanard intended to simplify the CAN peripheral setup procedure. Important note: the libcanard's STM32 CAN driver does not use interrupts or DMA. Its up to user to decide if CAN interrupts are needed and to implement them if necessary. shouldAcceptTransfer - this callback is called every time a transfer is received to determine if it should be passed further to the library or ignored. Here we should filter out all messages that are not needed for our particular task. onTransferReceived - this callback is called every time a transfer is received and accepted in shouldAcceptTransfer. It is a good idea to put incoming data handlers here. UAVCAN_GET_NODE_INFO_DATA_TYPE_ID - this is a request that the UAVCAN GUI Tool sends to all nodes that it discovers to get some data like name, software version, hardware version and so on from them. In fact, this is optional, but supporting this type of service is a good idea. Besides receiving UAVCAN messages, each node must also broadcast at least one type of messages periodically - NodeStatus (once in every 100-1000 ms should be fine). So let's make a function for that. Node health. Our node will always be 100% healthy. Node mode. Our node will always be in the operational mode. file (startup_stm32f37x.s) before branching to the application's main(). The only interrupt used in the application is the SysTick interrupt for uptime counter with 1 ms resolution. As libcanard does not use any interrupts, it is up to the user to decide when and how to receive and transmit UAVCAN messages. In this application we will constantly poll if any message was received by the MCU's CAN peripheral and process it. We will also poll if the library has any new messages to transmit and manually extract them from the library and pass them to the CAN transmitter. Messages from node with ID 100 are present in the picture above. And they keep appearing once a second. This means everything works as planned.